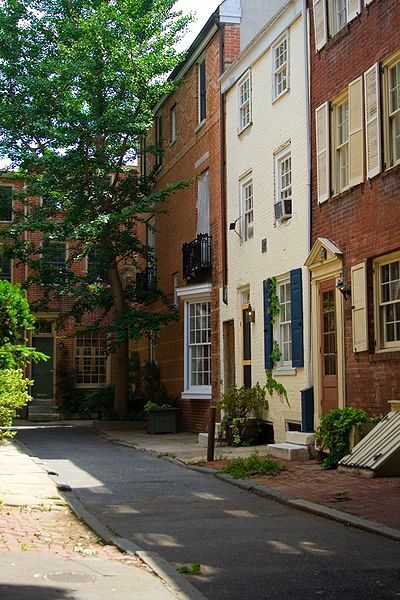 Like the city states of renaissance era Italy, Philadelphia is a loosely fastened collective of neighborhoods. Each has a unique identity and attitude; the locals might say “attytood,” but all are united under the city’s infamous gastronomic totem. Yes, I’m talking here about that singular, epicurean symbol of all things cheesy yet delicious, the Philly Cheese-steak. Not that I’m implying that Philadelphia is cheesy, far from it. Cheesy suggests fake, or something less than the real deal and Philly is perhaps the most un-fake city that one could find. The views, beliefs, opinions, and political persuasions of the neighborhood populations range from the ultra blue to the infrared, but are truly heartfelt and strongly defended. And those convictions can be puzzling and unpredictable. There are steadfast union workers living in the Great Northeast who would not be caught dead supporting a “liberal” agenda, and fifth generation gentry comfortably residing in Society Hill who cast votes as blue as their blood. The well-known Greek derivation of the word, Philadelphia is “city of brotherly love.” It refers, of course, to the concord shared between all fellow travelers on this celestial orb of commerce and communion regardless of tradition, tribe, or neighborhood. This definition usually comes with a snicker of sarcasm because Philly has a reputation of distinctly unloving behavior. Eagle’s fans, for instance, once pelted a man in a Santa Clause costume with snowballs for no discernible reason other than he provided a convenient and conspicuous target. All obvious irony aside however, I contend the city was named correctly. Unlike Agape which according to the ancient Greeks is an unconditional, soul-felt favor of Love from the Divine, or Eros which is a serendipitous gift of romantic passion from our endocrine system. Philos, or Philia - brotherly love is not so much a feeling, but a decision made in each human heart which is then put into action. 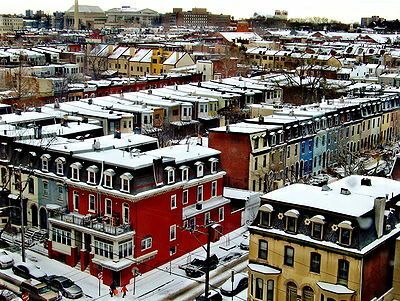 Philadelphians are hardly touchy-feely, but they are the original deciders and their renowned hard work helped to create a nation both figuratively and literally. Eighteenth century brotherly lovers from everywhere in the colonies decided right here that all human beings are created equal and then began the daunting task of making it so even if that fine philosophical postulate is still a long way from being made manifest. And, depending on their neighborhood, succeeding generations of Philadelphians decided to handcraft an infrastructure, refine a financial and legal system, quench the thirst for education or express profound insight and intuition through art and music. Philadelphia is currently undergoing a cultural and attitudinal renaissance much as the aforementioned Italian city-states did. 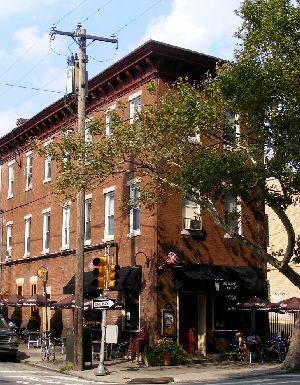 While it’s true that segregated dispositions die hard in some neighborhoods, others have been reborn in full and are brimming with enlightenment, cultural diversity, and fine pubs in which to gather and celebrate the pursuit of happiness. One such neighborhood is Fairmount, or as it is often called, the Art Museum Area due to its proximity to Philly’s own Greco-Roman monument to the muses. Yeah, the one made famous in that pop-iconic movie, Rocky. Fairmount has enjoyed rejuvenation without over-the-top gentrification. Workers, students, young professionals, artists, and musicians all live together here and play nice. THE BISHOP'S COLLAR IS RELAXED AND FAMILY FRIENDLY. One popular spot where Fairmountians play is THE BISHOPS COLLAR. Steve Mashington of Yards Brewing Company sent APHR staffers; David McBride, Chris Poh, and yours truly there to sample a draught of Yards ESA which was delicious to say the least. 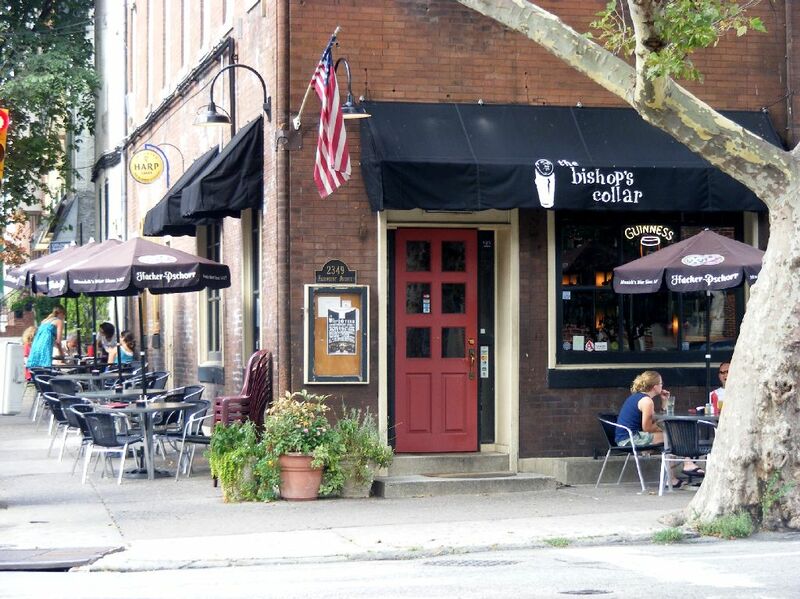 A "bishops collar" refers to the head on a pint Guinness when it rises in proper fashion above the glass's brim and this pub lives up to its namesake phenomenon. The place is generously poured with a delightful effervescence. 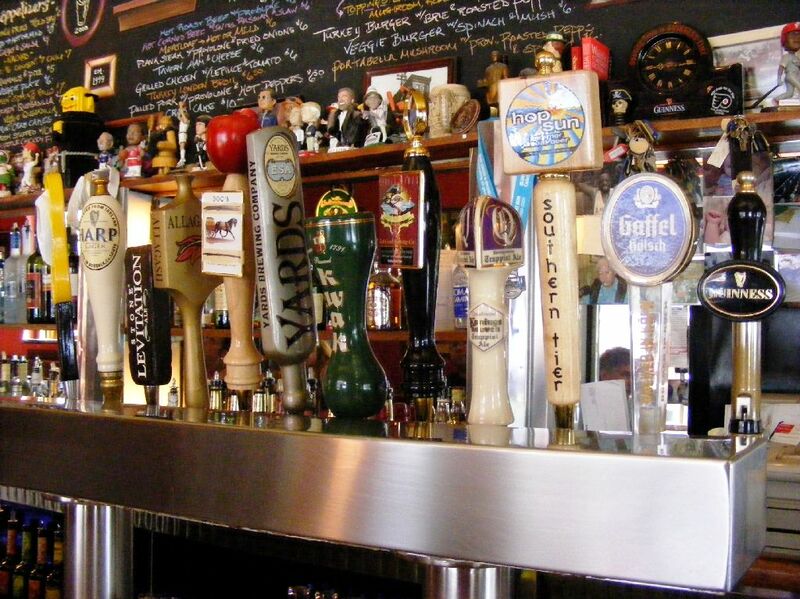 Mike Tramontana, the man behind the bar, handles the taps and the conversation with ease and expertise . . . would that every bartender be so competent and present. 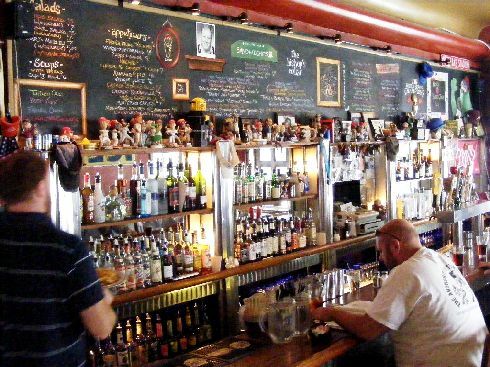 A beautiful blackboard mural by local artist, Jeannie Zimmerman adorns the wall above the backbar. 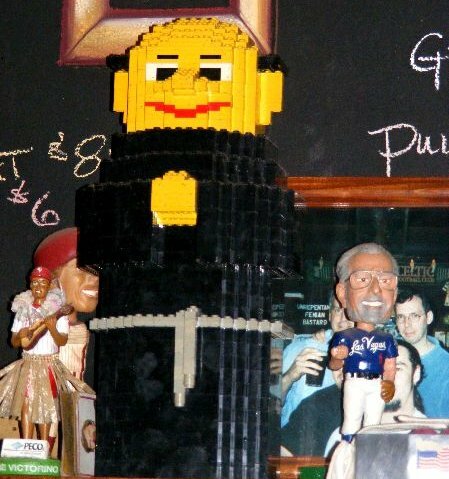 The largest collection of bobble-heads you have ever seen keeps watch over the fine Scotch whisky, and every libation is blessed by the square and jaundiced Bishop Lego smiling down upon his flock of revelers. 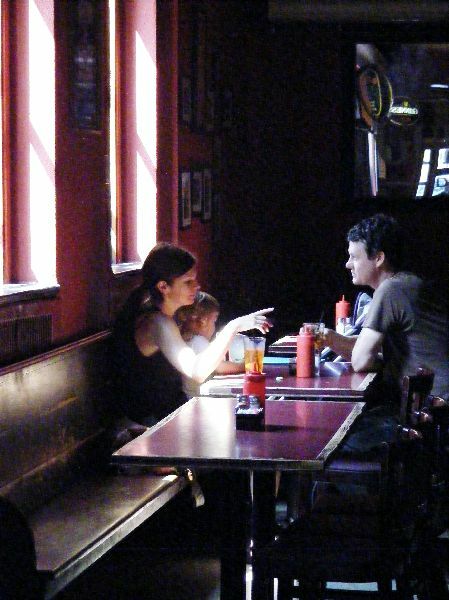 The whole atmosphere is congenial and family friendly in the European style as evidenced by the moms, dads and little tykes enjoying their early suppers at the tables. 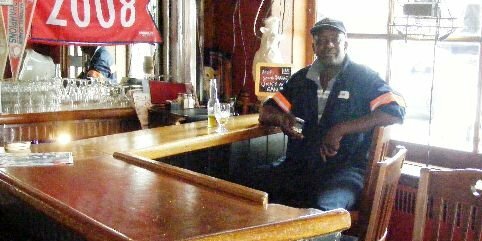 There were several patrons of both genders alone at the bar that afternoon which is always a sign of a good watering hole. When a woman feels at ease entering a saloon by herself, it is assuredly doing something right. The bar takes an interesting compound turn and seated within was Keith, obviously a regular. He was sipping a sharpener before transforming into his alter ego - DJ Trincity - for the night. So yo, when youze guyz get to Philly, save a day to bask in the genius of the masters at the Art Museum, become the subject in some sublime, real life art by strolling along the Schuylkill (skoo-kill) River while the crews row by in the background, and then saunter up Fairmount Avenue to the BISHOPS COLLAR for some lively repast and refreshment . 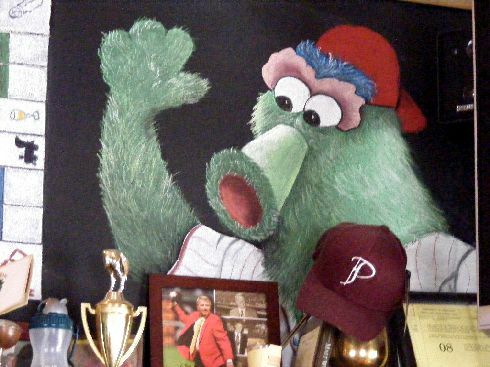 . . and a bit of the friendship for which the city of brotherly love was named.